Leaders of Teamsters Local 830, whose members load, drive and deliver drinks from breweries and soda plants in the Philadelphia area, said members are ready to strike to preserve their pensions as tough negotiations with Coca-Cola’s new regional affiliate face an impasse over continued funding for the workers’ pension plan. Six hundred Local 830 members work for Liberty Coca-Cola Beverages, a company started by veteran Coke executives Fran McGorry and Paul Mulligan to buy Coke bottling and distribution in Philadelphia and New York last fall. “The Teamsters walked away after Coke made it clear that they were taking Local 830’s pension away,” says union spokesman Frank Keel said. It’s not that bad yet, insisted Liberty Coca-Cola spokeswoman Mayra Linares-Garcia. “We are continuing to negotiate in good faith with representatives from Teamsters Local 830 to finalize the terms of a new collective-bargaining agreement,” she said. Still, the company threatened to try and keep Coke and its other brands in stores if the union walks: “While we are optimistic about reaching a fair and equitable agreement for our Philadelphia associates, we have a strong contingency plan in place to ensure we continue to service our customers and consumers,” Linares-Garcia added. Liberty employees in New York also are Teamsters, and the company still is funding their pensions, under a contract that doesn’t expire until after this year. 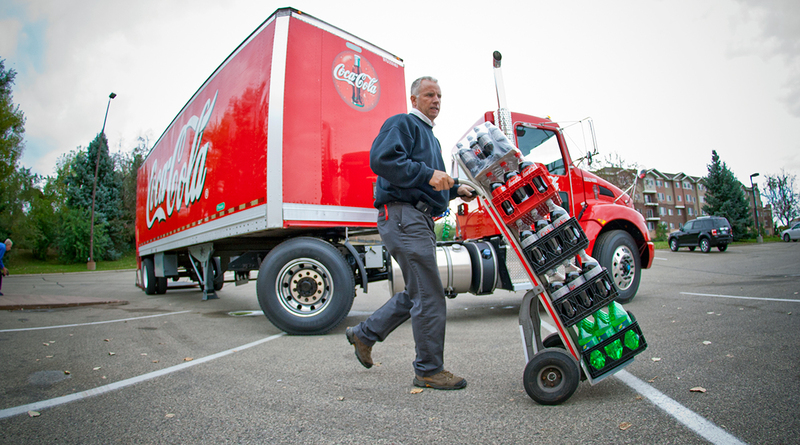 Union leaders say Coke executives told them they have to cut costs because of profit margin pressures from the city’s beverage tax, an effort to raise public revenue while reducing consumption of sugary drinks. Danny Grace, secretary-treasurer of the union, has been an outspoken critic of Mayor Jim Kenney’s sweet-drinks tax, which Grace says hurts his members and their families by reducing soda sales. But despite Coke’s claims, Local 830 members recently gave support to a new five-year contract with the local affiliate of Pepsi-Cola, as if that company isn’t feeling the pressure Coke claims from the beverage tax. The threat that Coke could stop but Pepsi would keep rolling gives the union extra leverage. Liberty co-owner McGorry was a boss at Coke in Philadelphia before the company sold the franchise last fall; Mulligan was based in Atlanta and worked for Coca-Cola International. The parent company purchased the regional business from former 76ers superstar Julius Erving and his New York partner, Bruce Llewellyn, in 2006. The company has reversed its consolidation with distributors and bottlers in recent years and sought regional franchisors to take over. The New York-Philadelphia region was the last big U.S. Coke franchise to find new owners.